Mr Wang Feng Had A Face-to-face Talk with Czech President | Linglong Americas, Inc. In active response to the One Belt and One Road policy, on May 12, 2017, Mr. Wang Feng, chairman of Linglong Tire, had a face-to-face talk with Czech president, Milos Zeman, in Beijing to discuss the future investment environment. 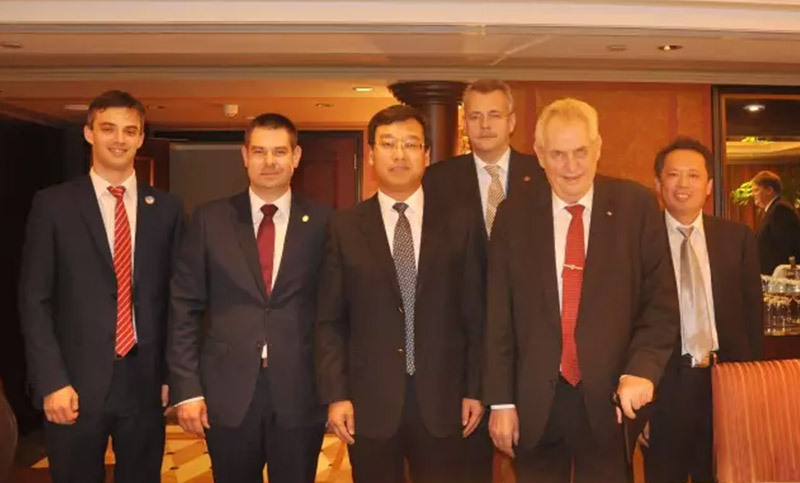 During the meeting, President Zeman expressed his opinion on Linglong Tire’s overseas investment plan and strategy, and said that Czech government would give full support to Linglong and hoped Linglong could fully consider Czech as the its main investment intention. Mr. Wang Feng expressed his sincere welcome to the president and his team, and gave a brief introduction to Linglong’s 3+3 strategy and sales condition. Mr. Wang said, as the company’s first overseas production base, LLIT effectively realized the high level, high level, and high quality production capacity output. By the end of 2020, the company will complete the two overseas production bases in America and Europe, gradually realizing the layout of three foreign production bases. At that time the annual production capacity will reach 80 million units. Meanwhile, the company is also studying the investment projects in Eastern European countries such as Czech, Poland and Hungary. Through the negotiation with the president of Czech, Linglong is full of confidence in One Belt and One Road international cooperation. In the future, the company will continue to strengthen international cooperation, pursuing a higher industrial output and achieving the win-win cooperation.